The Delta Sonics close the 2016 edition of the Riverwalk First Fridays concert series today at the Backyard Amphitheatre in Edwards. What: Delta Sonics, the final concert of the Riverwalk First Fridays series. When: Venue opens at 5 p.m.; music begins at 6 p.m.
Where: Backyard Amphitheatre, Riverwalk at Edwards. More information: Call 800-VAIL-JAM, or visit riverwalkfirstfridays.com. EDWARDS — It’s the last official weekend of summer, and a long weekend at that, so the obvious way to celebrate is to come in hot, with ripping, authentic blues and a backyard party today. 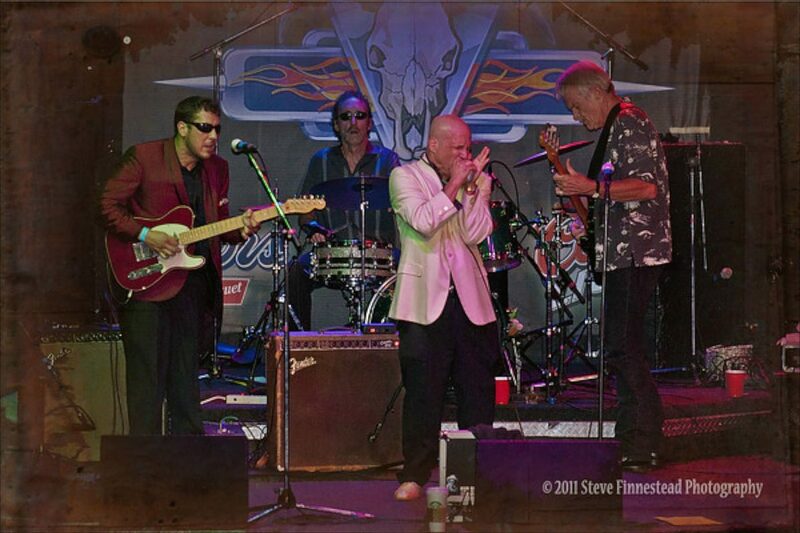 Delta Sonics feature howling harmonics, wailing vocals and thumping guitar and bass and have repeatedly been named Denver’s best blues band. They headline the final Riverwalk First Fridays today at the Riverwalk Backyard Amphitheatre in Edwards. The event features free live music and a vendor booth bonanza, featuring Crazy Mountain beer and wine and tasty specialties from Taco Rico and Loaded Joe’s. The Backyard opens at 5 p.m., and music kicks off at 6 p.m. with Delta Sonics’ sizzling lineup up of slide-guitar-infused classic blues by the likes of Muddy Waters and Howlin’ Wolf. Previous Riverwalk First Fridays featured fellow Colorado favorites Hazel Miller, The Burroughs and Gypsy Swing Revue. Each successive performance drew a larger crowd than the one before — hundreds of dancers, picnickers and passers-by ranging from families with young children to couples, work groups and visitors of all ages — and today’s Labor Day weekend kickoff event is bound to one-up the party yet again. Picnics are welcome at Riverwalk First Fridays, but no pets or outside alcohol are allowed and the event is nonsmoking. Alpine Bank and Kaiser Permanente present Riverwalk First Fridays. The events are a project of KZYR 97.7 The Zephyr and Vail Jazz. For more information, call 800-VAIL-JAM or visit riverwalkfirstfridays.com.